A pipe bomb explosion shut down the third annual Semper Fi charity race today in Seaside Park, New Jersey. The race was shut down after the explosion. A device exploded in Seaside Park, New Jersey, Saturday morning as about 5,000 people were set to run a 5k Marine charity race and police are investigating another suspicious package in the shore town, authorities said. 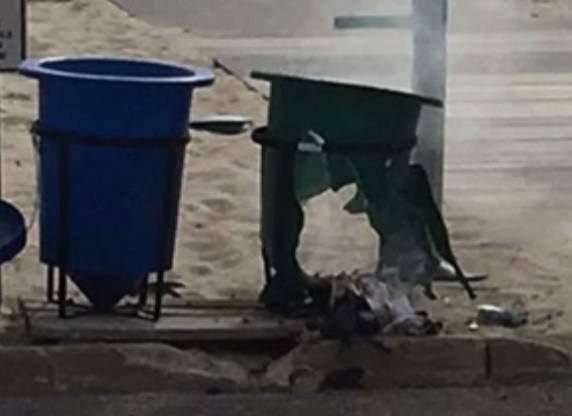 The explosive device went off in a garbage can on D Street and Ocean Terrance at about 9:30 a.m., police said. No one was injured in the blast, according to the Ocean County prosecutor’s office. The third annual Marine Semper Fi 5k race to benefit the MARSOC Foundation was expected to start at about 9 a.m., but was delayed because of late sign-ins, authorities said. The race was canceled after the explosion.